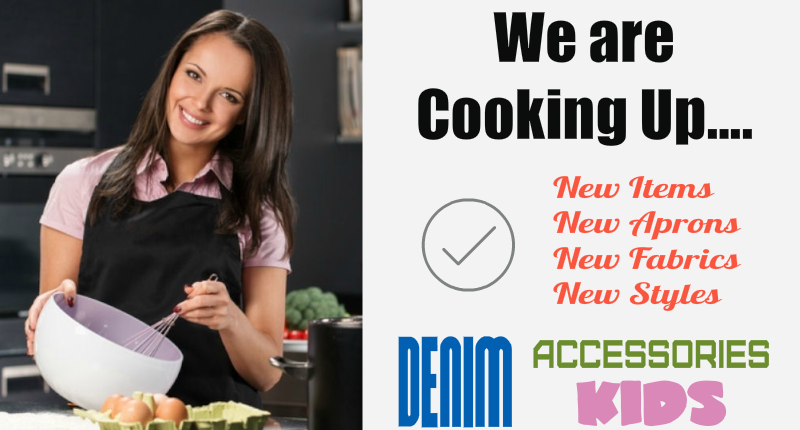 American made aprons at wholesale prices. We stock different apron styles in 20 colors all ready to ship. 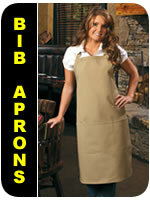 Bib aprons are the most popular and versatile, followed by waist aprons then cobbler and vests. 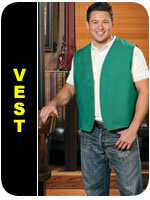 We are a premier apron supplier, offering full service for all your apron needs. 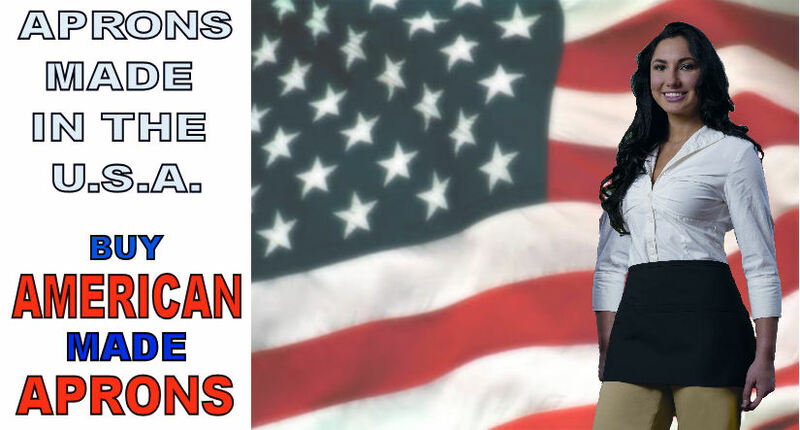 We specialize in custom made, high quality American made aprons. Whether you need one of our ready made aprons listed on our site, or a custom made apron with numerous pockets or sizes we are your source. We also do in house custom apron imprints! Have a company name or logo you want on your apron? We can do it...FAST! How about individual employee names or titles? Yep, we can do that too! It doesn't matter how small or big your company is we can handle your requests. Our aprons have been used in casinos, restaurants, catering halls, grocery stores, warehouses, and many home kitchens around the globe. Our top quality aprons can survive in the harshest food service environments. 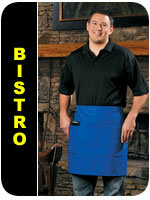 Just ask the countless waitresses using our aprons in diners around the country. 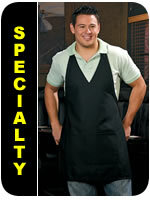 Let us be your apron supplier for all your custom made, custom imprinted aprons! Please browse through our site and look at the products we have to offer. If at anytime you have any questions please feel free to contact us. Our staff is standing by to answer your questions and listen to your concerns. If you don't see what you need please do not hesitate to ask us about it. 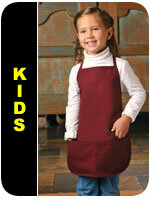 We have thousands of aprons in stock and ready to ship from our warehouse not listed on our site. Not to mention access to thousands more from top American manufacturers we have partnered with. 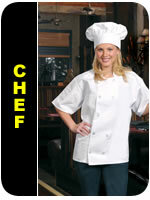 We have many chef products, bib aprons, bistro aprons, cobbler aprons, and waist aprons! Just ask. All our aprons are top quality and not cheap imports. Give us a try, we are sure you will be pleased.